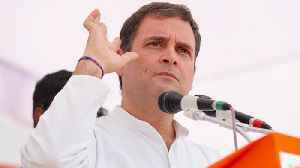 Asserting that law must not be applied selectively, Congress president Rahul Gandhi on Wednesday said if his brother-in-law Robert Vadra can probed so can Prime Minister Narendra Modi for his alleged role in the Rafale deal. 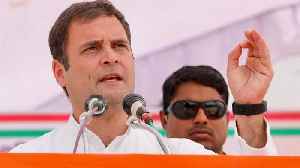 While addressing a rally in Nandurbar, Maharashtra Prime Minister Narendra Modi asked voters to vote BJP and help the party win 2019 Lok Sabha elections so the BJP can continue to help the people of..
After files nomination from Amethi, Congress President Rahul Gandhi Addresses a Rally in Barabanki, Uttar Pradesh. 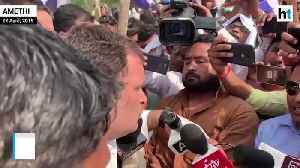 During his speech Rahul Gandhi attacks PM Modi over Rafale and farmers issues. 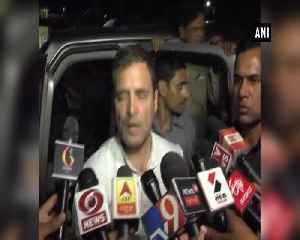 Watch..
Congress President Rahul Gandhi Addresses a Rally after files nomination in Amethi, Uttar Pradesh. 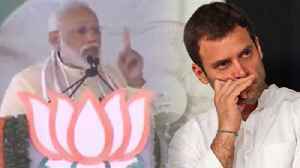 Rahul Gandhi attacks PM Modi during his speech. 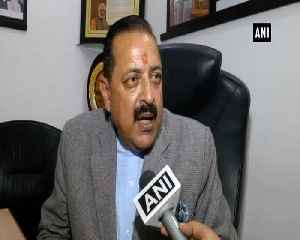 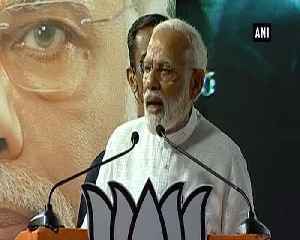 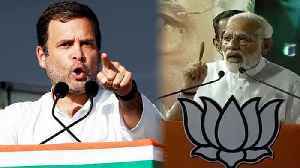 Watch video, कांग्रेस..
PM Modi on Thursday said Congress president Rahul Gandhi's candidature from Wayanad Lok Sabha seat in Kerala was not to give any message to south India, but a message for appeasement politics.Watch..
India can expect a politically charged Wednesday as both Narendra Modi and Rahul Gandhi campaigns planned in multiple states for the Lok Sabha election.